Oh man, to be a kid in 2016. Technology Will Save Us, a tech and educational toys startup, has just dropped its latest project, Mover Kit, on Kickstarter and it's already raised half its $50,000 target after one day. 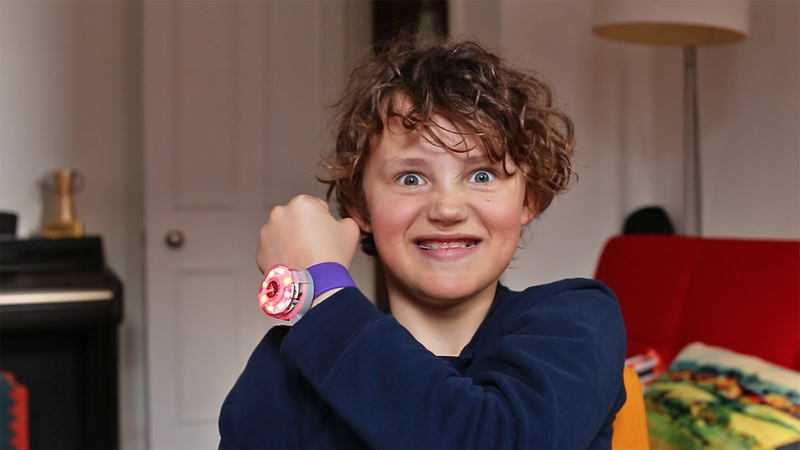 The "active wearable" costs $65 - or as little as $45 for 750 Super Early Birds - and is designed to be built and coded by kids themselves. It's for children 8+, takes 15 minutes to build and can be programmed to make games, costumes and inventions and get them moving more. Here's how it works. Kids get the electronics (a circuit board with affixed components) and case out of the box and build the main module. Then there's accessories including a snap band to wear on their wrist and a lanyard to wear it as a necklace, say, or attach it to scooters or an Iron Man costume. It features eight rainbow coloured (RGB) LED lights on the top of the chunky module plus an accelerometer, compass and rechargeable battery that last two hours on one charge. The modes given as examples on the campaign include bike light mode and rainbow mode plus a more inventive project of an obstacle course to complete while wearing the connected wearable. London based Technology Will Save Us hasn't stopped there though - kids can also use its Make platform to code with a visual, block based "when X play Y" programming language. They can share creations, hone their problem solving skills and compete in challenges. Motion inputs include shake, run, jump, spin, move left and right and output animations for the LEDs things like blinking, rotating and rainbow. Basically, it's definitely not a smartwatch or fitness tracker for kids, quite the opposite. It sounds awesome and we can't wait to get a sneak peek (coming soon on Wareable.com). Kickstarter units of the Mover Kit are due to ship in October 2016 with free worldwide shipping.